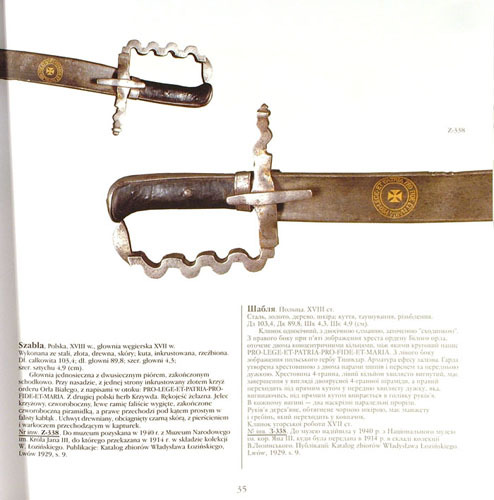 Beautiful, full-color catalogue of very rare, unique and interesting weapons of Polish, European, Turkish, Persian and Indian origins including edged weapons, armours and fire-arms from the 15th to the 19th centuries. 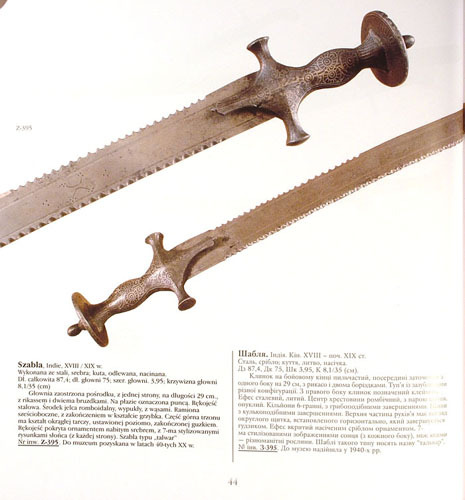 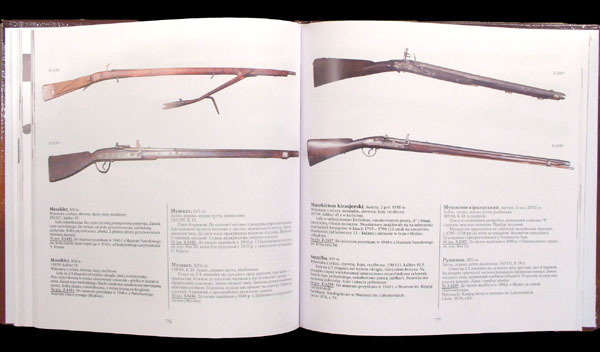 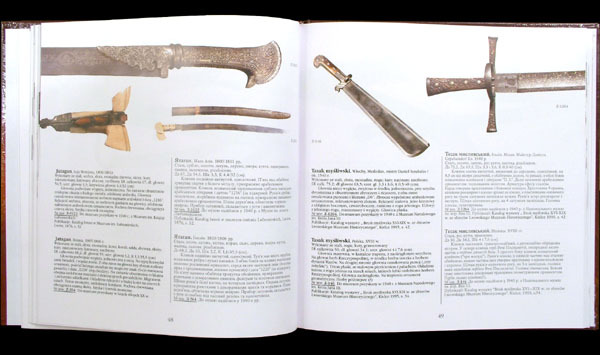 Catalogue was complementary for the exhibition which took place in year 2006, where antique weapons from Lviv Historical Museum were presented. 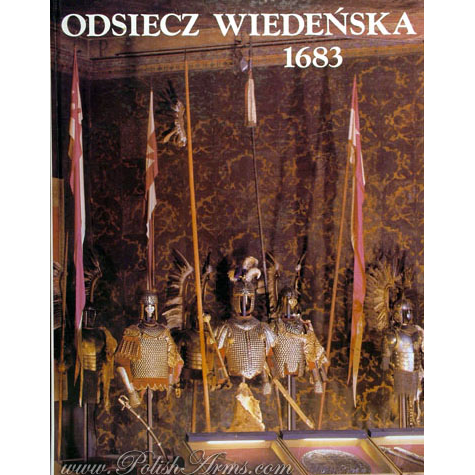 Objects before the IIWW belonged to the Polish National Museum of king Jan III Sobieski and to few private collectors. 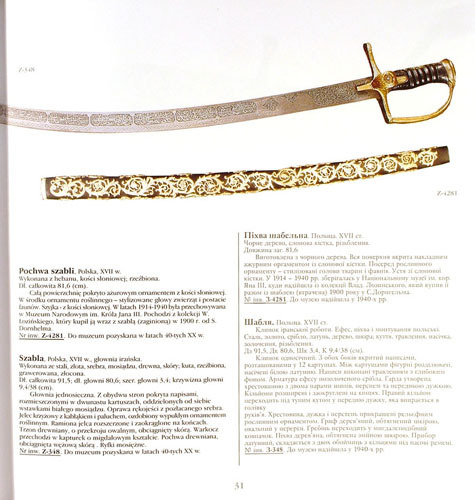 The book is highly recommended for those who love Oriental art or are searching for something what is definitely different from well known antique arms presented in other museums and other catalogues. 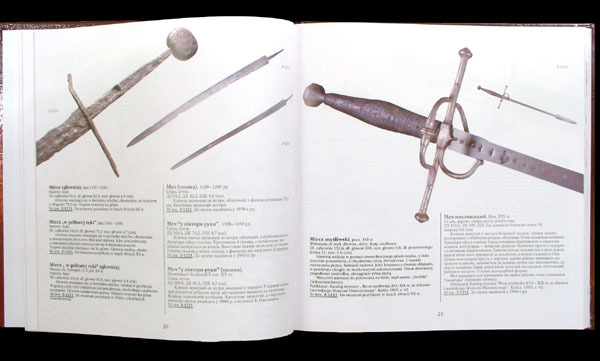 Many of the weapons are combined in unique way, like Polish sabres with Persian blades, Hungarian hilts with Polish blades, etc. 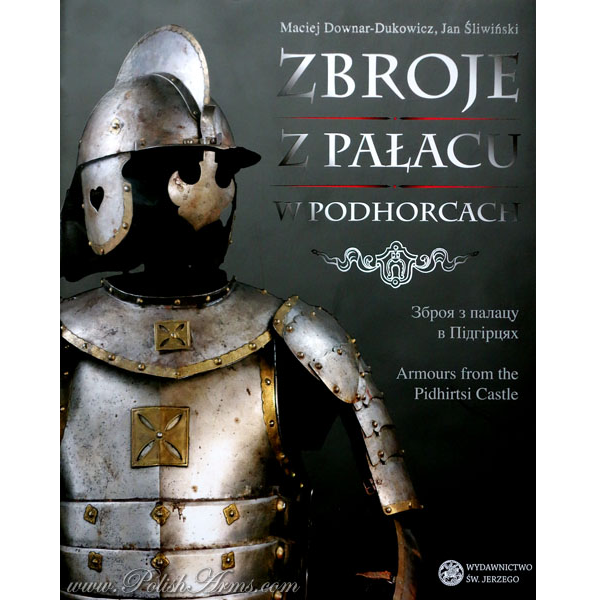 You can find many unique decorations, beautiful artworks and great adventure through the history of armament in central Europe. 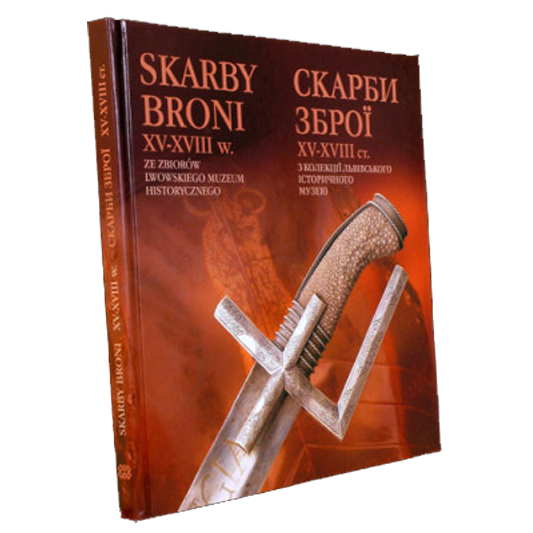 Note: catalogue is in Polish and Ukrainian, preface and history of collection in English.